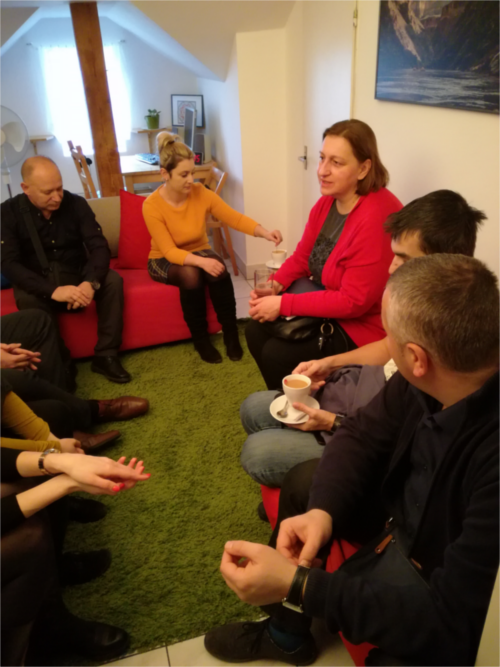 In March, a delegation of experts from five different organizations focused on child safety on the Internet and personal data protection from Bosnia and Herzegovina visited our Association. The participants aimed their attention mainly on activities in the Safer Internet project, where CZ.NIC has been participating for the fourth year. Since this year, we have even been acting as a coordinator and together with the Safety Line we are working to protect children in cyberspace and to tackle cyberbullying, cybergrooming, cyberstalking and other topics of this kind in a timely manner. Bosnia and Herzegovina’s colleagues also visited the Safety Line, where its staff explained (especially to IFS-EMMAUS representatives) the operation of the line and what cases of cyberbullying they most often encounter and solve. The IFS-EMMAUS organization was originally established in Sarajevo to help war victims, but now it is going to focus more on helping children in the area of cyber security. In the near future, this organization plans to establish a helpline, so the representatives considered the field trip at the Safety Line as a very positive and valuable benefit. Bosnia and Herzegovina’s security specialists were also captivated by our “How to Internet” series and its related “How to Internet” and “How to Internet – safely” books. Furthermore, they like our safety memory game, which is also available in the English version and could be localized to Bosnian in the future. The fact that representatives from Bosnia and Herzegovina have chosen the Czech Republic, the CZ.NIC Association, speaks of our good name, which we are gradually building at home and abroad, not only thanks to the Safer Internet project.